The Workers College (Natal) was formally launched on the 4th July 1991. The college was established with specific objective of providing education to workers, worker leaders and trade unions to empower them, their members and organisations. It is an education organisation offering education programmes for trade unionists and community activists from within South Africa as well as the African continent. The idea behind establishing the Workers College was from the realization that there were not many worker education institutions that addressed the problems and realities of trade unions and and the specific type of education needed by these organisations and the shop stewards from them. Unions themselves at the time did have fairly vibrant education programmes themselves but almost all education took place in the form of workshops conducted over a few days. There was no form of assessment to ensure that the workshops were infact having the desired outcomes and not much continuity between programmes. This is not to say union education was ineffective it played a key role in the growth of the labour movement but as union organisations became increasingly formalized some of the vibrancy attached to the spontaneous education in our organisations left. The Workers’ College was one of the first attempts to formalize worker education in the country. Fittingly the College was located just down the road from where the historical 1973 strikes began. 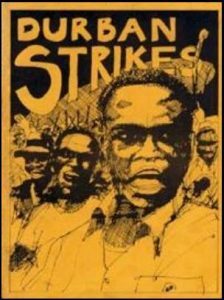 This spontaious worker uprising spread around the country and gave rise to a new formation of unions that challenged the staus quo both at the workplace and politically, much of the modern South African Labour Movement. From 1992, the Workers’ College started conducting a variety of education programmes for trade unionists. These were designed as one-year certificate courses requiring students to attend classes once a week as the students were working adults. The Labour Studies Diploma (LSD) was the first diploma that was introduced by the college in 1992, and it was run for 48 weeks housed at the Centre for socio-legal studies at the University of KwaZulu-Natal. The college enrolled 48 students for the first diploma and it was supported by other short courses such as Trade women union, conferences, seminars and outreach programmes which were run from Kwazulu-Natal to Cape Town. In September 1992 the College expanded and had to relocate to its own campus at Bolton Hall in Magwaza Maphalala Street, former Gale Street, Durban where the first graduation ceremony took place. The third and fourth diploma called Labour Economic Diploma (LED) and Political and Social Development Diploma (PSDD) was introduced in 1997 and 1998 respectively, and 23 and 19 students were enrolled for both diploma. A joint Workers’ College / UKZN diploma would be awarded to all successful diploma graduates at a graduation ceremony held at UKZN. 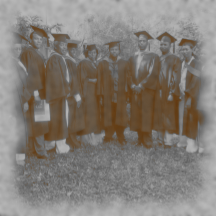 It was then in 2001 when the college enrolled the first 25 students to study IWLP at the University of KwaZulu-Natal. One of the key guiding principles of the College has always been the recognition of the diversity of workers, political and trade union affiliation; In view of this the College strives to be non-partisan and non-sectarian and serves as a uniting institution that transcends ethnic, political and ideological distinctions. The progressive orientation of the trade unions governing the institution has meant the wisdom and approaches of broad workers education have increasingly been extended to community organisations, acting as a further bridge to working class unity. In 2000 the College Council took the bold step of amending the constitution to include community organisations in the scope of support of the institution. This has not been limited to South Africa either. The Workers College main diploma programmes have been extended to other countries such as Namibia and Zimbabwe. The College has also played a valuable role in the shaping of workers education on the continent having run and coordinated programmes throughout the region. Overtime a very particular teaching and learning practice has emerged at the Workers’ College which has sought to blend the traditions of political and critical education that emerged in South Africa through the liberation struggle, with practical problem solving based in peoples experiences and more formalized assessment techniques associated with mainstream education. The content matter, not necessarily the interpretation thereof, was often overlapping with much of mainstream education but it is in the valuing and use of peoples experience of oppression and systemic violation as a lense to interpret the world that the fundamental difference lay. The education has always been very real and shaped by what is happening at the time. The Workers’ College was practicing real recognition of prior learning (RPL) from the very beginning and long before it became an overused acronym, but under-realized reality in Today’ Skills development landscape. Over the past twenty five years the college has been led by four directors. The founding Director Miss June Rose Nala, a union veteran and anti-apartheid activist led the College in its initial year of existence helping to establish the ethos of struggle education and the values that persist in the institution to this day. Mr Yunis Shaik guided the college for the next five years stabilizing the fledgling organisation and building support until 1997. The third Director was Mr Kaisvel “Kessie” Moodley steered the ship for more than 21 years after this and has made a huge contribution to the practice of emancipatory and radical workers education in this time. 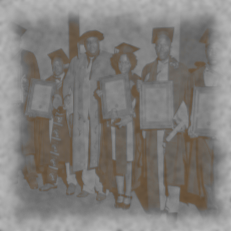 Under his guidance the Workers College grew and established relationships leading to a full degree programme being run in collaboration with the University of Kwa-Zulu Natal long before any other such offering was available elsewhere in the country. Research came to be increasingly recognized as an important aspect of worker education. A sixth module was introduced to the Diplomas which enabled student to gather information, analysis and report. Participatory Action Research Diploma (PARD) was introduced in 2013 and 18 students were enrolled. Also in 2013 a similar arrangement to that at UKZN was forged with the Durban University of technology. Whilst a change of leadership has stalled the Certificate in community development which was planned to be moved into a full diploma it is expected this will be another feature of 2017. In 2016 Dr. Thulani John Mbuli took up the challenge of leadership and is poised to take the Workers’ College into another chapter of service to the working class in KwaZulu-Natal and South Africa as a whole as the College registers and readies itself to take its place as peer alongside other Public Higher Education Institutions. One of the strength of the Workers’ College over the past 25 years has been the active governance structures. Organisations that use the College services become member unions and participate directly in the Council. This is the highest decision making body of the college. Many unions and union members and officials have participated in the council over the years, actively contributing to a vibrant and responsive democratic tradition that has shaped the operations of the College but more importantly the identity and values of the institution. The main operational oversight structure is the board of trustees. The board plays an active role in College life and here too many comrades have given selflessly of their time and knowledge in steering the ship. Amongst this grouping there have been a number of members who require special mention for long and dedicated service. Cde Richard Hlope the current Deputy Chaiperson, who has served in the capacity of chairperson twice, Deputy Chairperson for three terms and member since 1999. Cde Jabu Ngcobo who led the College as Chairperson from 1996 to 2003. Leela Reddy who participated as deputy Chairperson and member for over 13 years. Thulani Hlatswayo, 9 years and Cynthia joyce who served as chair for 6 years and participated for a total of 9 years. Kessie Moodley served as Director for over two decades. These and many other comrades have over the years ensured that the College has been professionally run and accountable to member and funder organisations alike. Funding and space are seen to be a main challenge that the college had experienced throughout its life time which continue to hinder the capacity of the college to diversify its programmes because of lack resources and space to accommodate a large number of trade unionists and community activists. Despite this, the college has succeeded to raise the consciousness of trade union and community activists at a political, social, and economic level, and to develop their capacities so that they would be able to engage with the challenges that confront them, especially in the current neo-liberal environment. The Workers College has had different areas of focus at different points in time in the past. These have had significant impacts but operating in a funded environment is challenging. A vibrant programme of outreach to other areas in Kwa-Zulu Natal, evening seminars and political economy discussion groups, short course education on fundamentals and worker focused research projects were all a feature of the institution in the late 90’s and early 2000’s but were eventually set aside to focus on the main programmes. As we move into this new chapter of the College it is the hope to re-establish as broad range of offerings and formats as possible in order to reach , support and make possible access to the education offerings to as many as possible. 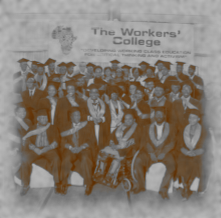 The Workers College has over the past 25 years facilitated the education of thousands of workers in South Africa and further afield. Workers have received education and the beginning of the valuing and recognition of worker knowledge has begun. Now in 2017 change is again at hand. Beyond expanded offerings the College sees an opportunity to engage the battle of ideas through formalising working class knowledge and values into the curriculum of higher education and training. In registering and developing new qualifications that blend the theory, practice and lessons of the past 25 years it is hoped that worker education can take its place at the highest levels of learning, opening a path of articulation from adult basic education, literacy and numeracy training through to a PHD. History has also taught us that although partnerships are an invaluable strategic assistance in achieving the recognition worker education deserves it is also important to have autonomy and self reliance in matters of design and accreditation. It is on this basis that partnerships can in fact be strengthened to a form of mutual peer support. 25 years on from its first programme offerings the College has now applied for formal recognition of its status as an institution of higher learning. This is another important step in a journey begun 25 years ago and shepherded through the hands of a multitude of union and community leaders, learners, activists, academics, practitioners, researchers and supporters in government, in unions and internationally. All have played a valuable part in this story. It is upon these great efforts that we excitedly look toward the story yet to be told.